There are some great hints and tips throughout this book, mainly about clothes and how best to wear them, which is fitting, as I am in the middle of a wardrobe overhaul, but also tips about buying presents for people, first aid tips, travelling tips, and lots, lots more. A great book of knowledge to return back to time and again. 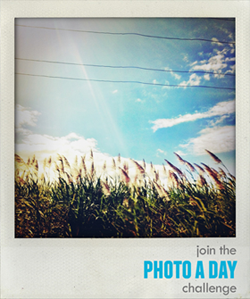 Take a look at Fatmumslim's blog to find more Photo a Day info and photos!